Has your church “turned Orange?” If your children’s ministry leaders have suddenly put your children’s discipleship in the hands of Andy Stanley’s “Orange Strategy,” you’re going to want to investigate what this program is – and more importantly what it is NOT. 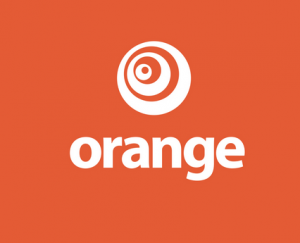 At our former mega-wannabe church, the decision was made to continue using Orange at a new campus just for the sake of expedience, after we had already decided it was inferior and inappropriate due to lack of biblical content. It was one of the many things God used to wake us up to the errors in our then-church. Of course, he also used you (back in the Stand up for the Truth days ), Chris Rosebrough, and Ken Silva! It was infuriating that our pastors were willing to short-change the children (whose love of the children’s program they credited with attracting and keeping parents in attendance!!). At that time I was a volunteer in charge of large group activities and lesson (the “show”), and was responsible for shepherding my own staff of 20+!!! I pointed out that they had inappropriately placed me in position of a pastor. I also reminded them that our whole team had concluded that the curriculum was no longer presenting the Gospel, and that it grew markedly worse since a new writing staff was brought in when Orange had become a separate ministry from Northpoint Church during the prior Fall of 2011. Since the plan was avowedly to use the “great” kids ministry to “hook” the parents, but the kids were not really learning about Jesus, I thought that was a problem. That was all shrugged off. Thanks for continuing to be a voice in my life!! For many centuries, Christians have taught their children about the Bible from the Bible. In church, children learned along with their parents in the pews. With the rise of children’s ministries, we’ve seen solid men and women step up as teachers of Scripture, developing their own style and curricula in age-appropriate ways. Then came the Big Box lessons. We no longer need Bible teachers; just warm bodies who can read directions, sing and do crafts. As we’ve brought in different programs to our children’s ministries, we’ve seen something incredible: Children growing into teens and young adults walking away from their churches – and Christ. Is there a connection? Parents are right to be concerned about these Big Box curricula from Big Box megachurches. Two things to ask yourself when selecting a curriculum for any church program or ministry: (1.) Does it actually teach the Bible as authoritative, sufficient, inerrant truth?, and (2.) What is the theology and background of the authors? Before we dig in, we need to understand what the Orange Strategy is. Orange’s Strategy is an elementary-aged curriculum based on Luke’s words about Jesus in Luke 2:52: “And Jesus grew in wisdom and stature, and in favor with God and man.” Orange has taken the verse 2:52 and turned it into “252 Basics.” It is a formula based on creating a learning atmosphere to be used in three primary environments: church (Red), home (Yellow) and in-between (Orange). 2. The Orange Curriculum is expensive. 3. The Orange Strategy is NOT Scripture based. 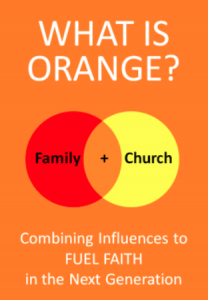 Orange is the latest, greatest thing in KidMin and family ministry. It is so popular that churches of all denominations are labeling themselves “Orange Churches.” It is well funded, well made, organized and nice to look at.…however there is one HUGE, glaring weakness that I cannot overlook….